Winnipeg First Aid is the most popular provider of first aid and cardiopulmonary resuscitation (CPR) programs in Manitoba. Classes are held throughout the week; popular classes available during the evenings and weekends. Trainees are offered easy and hassle-free enrolment on the Winnipeg First Aid website’s registration form. No other training service provider offers lower prices, more courses with Manitoba workplace approved certification. Participants looking to renew certification may also be able to do so by attending re-certification courses. You can also enrol for a training program with Winnipeg First Aid through e-mail, telephone call, or walk-in during business hours in any of the training centers in Manitoba. You can reach the Winnipeg First Aid staff using the information below. There are several training centers in the area but the main facility can be seen on the map below. The main facility is easily accessible by public and private transportation. Restaurants, shops, and free parking at within walking distance of the center. To register for a course select the date and time from the upcoming course schedule below. 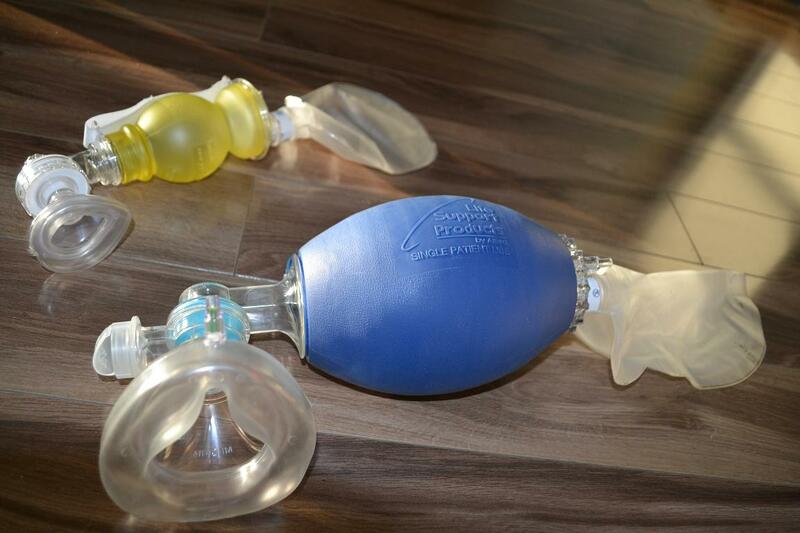 Adult and pediatric bag valve masks used in CPR Level HCP. Use the contact information provided above to find out more about the services available with this provider. 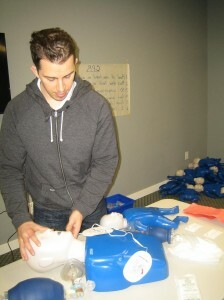 Winnipeg First Aid offers the cheapest rates for its training classes. Enrolment fees include everything – taxes, certificates, St Mark James registration fees, and use of training manuals and equipment. Students don’t have to worry about additional expenses with Winnipeg First Aid. Should a student drop out of a program and be able to give a 72-hour notice, full refunds are given. Once the training program is completed, a certificate from St Mark James is awarded to the trainees. The certificate is valid for over 36 months and can only be recertified when it is current. Refresher programs are held twice a week at Winnipeg First Aid for the renewal / recertification of certificates. Winnipeg First Aid also offers private instructors for training at home or at company events such as outings and conferences. You can call or send an-email to inquire about the hourly rates for private training. Diabetes a chronic disease that is characterized by high levels of glucose in the blood. Glucose is used up by our cells for energy but in excess, it damages tissue and causes poor wound healing. Glucose comes from food and the liver. Insulin helps cell absorb glucose and use it for energy. The liver both stores and produces glucose. During decreased insulin production and low glucose levels, the liver breaks down fat into glucose. In diabetes, there is little to no production of insulin. With no insulin, the glucose remains in the bloodstream – a condition known as hyperglycemia.